See the township calendar for our Township Board Meeting Schedule. To see meeting minutes from past board meetings, click here. To see the list of Board of Trustees, Zoning Board of Appeals, Zoning Administrator, Planning Commission, and Board of Review, click here. 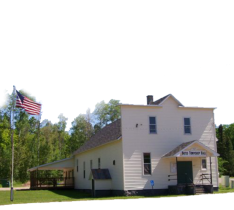 Bates Township is located next to the city of Iron River in the Upper Peninsula of Michigan. Bates Township has so much to offer. The beautiful area offers year round recreation and enjoyment. So, enjoy this moment in Bates Township.